Attention S.C.H.S. 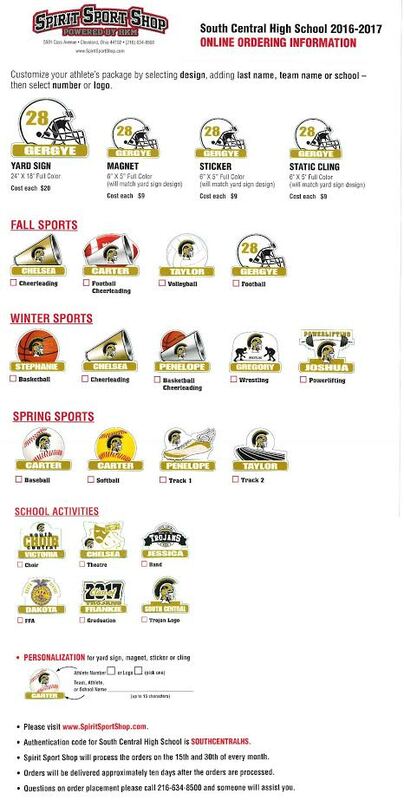 Community… Do you like showing your pride for South Central High School extra-curricular programs? Do you have a current South Central Athlete or activity participant? Well now is your chance to display your support in your yard. Check out the examples in the graphic below or print the attachment below the graphic to order a custom yard sign. A small portion of each sign purchased will funnel back to the athletic department or organization.